this is the last "process group" ? The step-down portion had a firm grip on the plug. There was 6 coats of wax on the plug. Once I got a wedge in there, it separated cleanly. Ladder Hatches . . .
Today was the day to make the ladder hatches. I got the glass set up in the molds . . .
1 layer of CSM + 2 layers of 1708, then 24 oz of resin each for the 16" x 15" hatches. My plan was to 'dump' the resin in the mold , then vacuum bag it as the resin soaks in. Well, my vacuum pump started having a hissy fit . . . there must have been a leak somewhere. I wasn't getting nearly enough vacuum, so I had to de-bag and re-bag. The second hatch seemed to work better, but still not as much vacuum as I would have liked. So as not to add insult to injury, I decided to hold off on gelcoating the swim platform until next time, which will be Wednesday evening. I’ve been thinking about the infusion of the platform. Although thinking can be dangerous, I’m concerned about the layup schedule. When doing the hatches yesterday, it seemed that the resin had a hard time soaking through the 2 layers of DBM1708 cloth. I had to work it in with the resin roller quite a bit. Maybe it was because of the vacuum troubles, but I thought the biaxial cloth would have accepted the resin more readily. The first of 2 infusions for the platform is the same layup that I used for the hatches. The infusion of the platform mold used flow media, but no peel ply. The platform infusion will need to use peel ply, which tends to slow things down. Just wondering if I am going to have trouble with resin saturation. You way above my head with the vacuum bagging. I might have been lost too, just didn't know it. My thinking was that with the glass layers in place in the mold, then pouring the resin in the middle of the mold . . letting it soak in for a few minutes and then putting it all in a vacuum bag, the resin would work its way from the center of the mold towards the outer edges - pushing the air out as it goes. Well, what actually seemed to happen was that the resin stayed on top of the glass layers for a longer period of time and then as the vacuum was applied, the resin staying on top of the glass rather than soaking in, trapped air in the several layers of glass. I think that's about a good as I can describe it. . . sort of analogous to not pre-wetting a core surface when doing hand layup and trying to get the resin to soak in from the outside. As many of us know, it takes a long time to get all of the air/bubbles out of the layup. Anyway, I used the resin roller to move the resin around under the vacuum bag, hopefully enough to drive all of the air out to the perimeter. I may make some adjustments to the platform infusion, based on my learning's from the hatch molds. It may be more of an issue with the VE resin than the 1708 cloth. I was thinking the VE resin would work better than poly, but it seems that is not the case. I also used 2% MCP catalyst for the hatch resin, which gave me 60+ minutes of working time. I may reduce the MCP down to 1.5% to extend the open time a bit further. I may also go with fewer layers in each infusion and do some hand layup in between. It seems I am a bit better at vacuum infusion than merely vacuum bagging. Hopefully, I'll find a way . . .
After some discussion on the Boat Design forum about the resin and infusion issues, I thought to run some infusion tests on the VE resin, prior to running the infusion. I plan to run 3 tests . . . I figure since VE resin does not seem to wet out as quickly as poly resin, I'll try 2 of the 3 tests without peel ply. Thursday - Set up infusion, based on the test results. Infuse Platform. Pull hatches from their molds. Friday - Inspect platform mold. If all is good add layers as needed and core material. Saturday-Sunday --> NYC for Easter. Hopefully, I'm not getting ahead of myself . . . but out of perhaps boredom this morning, I made a rendering of what the swim platform will look like on my boat once it is all done and installed. Here is what I came up with . . . not sure the scaling is 100% accurate, but it is a free-hand rendering. I'll be back at it tonight and for the next 2 days. Hopefully will have good progress to report . . .
That will look great. Will you put some hull matching stripes on it? Now there is a thought . . . 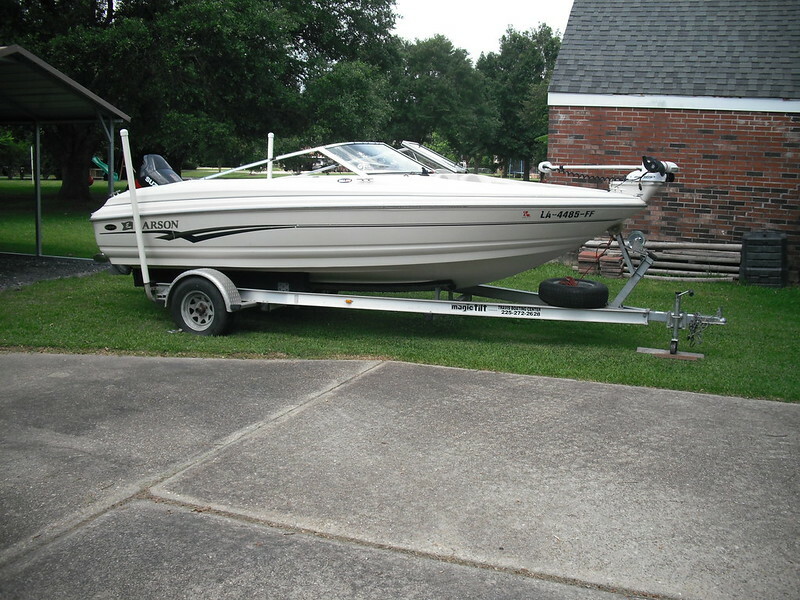 If I have time before launching I may add some striping to match the boat's color scheme. That would be so cool !